This RARE find could be YOUR new home! Want to be close to downtown, I4, 408, Milk District, and the trendy new Hourglass District? Want a beautiful lake community filled with friendly neighbors that gather for holiday events and daily dog walks? 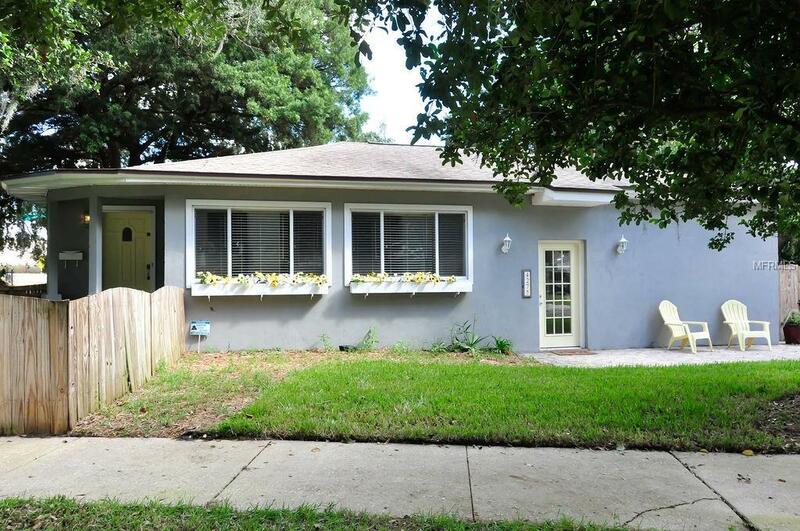 This adorable, well maintained, 1949 vintage bungalow hidden on a private corner could fulfill your desires!! A well laid out 3/2 split floor plan with beautiful natural lighting, has a NEW ROOF (2013) and a NEW A/C UNIT (2016). The LARGE OPEN kitchen is in the center of the home with ALL BRAND NEW, NEVER USED stainless steel Whirlpool appliances and tons of cabinet space! The living room, hallway, and both bedrooms all have ORIGINAL hardwood floors! The enormous master bedroom has his & hers closets, and a massive master bathroom complete with a soaking tub. Indoor washer and dryer make laundry more convenient. There is a huge front deck space and a spacious paved deck behind a six foot privacy fence perfect for a fire-pit with lots of seating space. Additional lawn area for hot tub, trampoline or swingset just off the deck. A large (12x8) workshop shed with windows. Just out the family room door, there is a spacious, fenced in tree covered yard. NEW sod and landscaping in front yard with a double paver driveway (easily fits four vehicles) with plenty of additional parking along the private curve in the street. You are zoned for the newest state of the art K-8 Lake Como School? What are you waiting for?